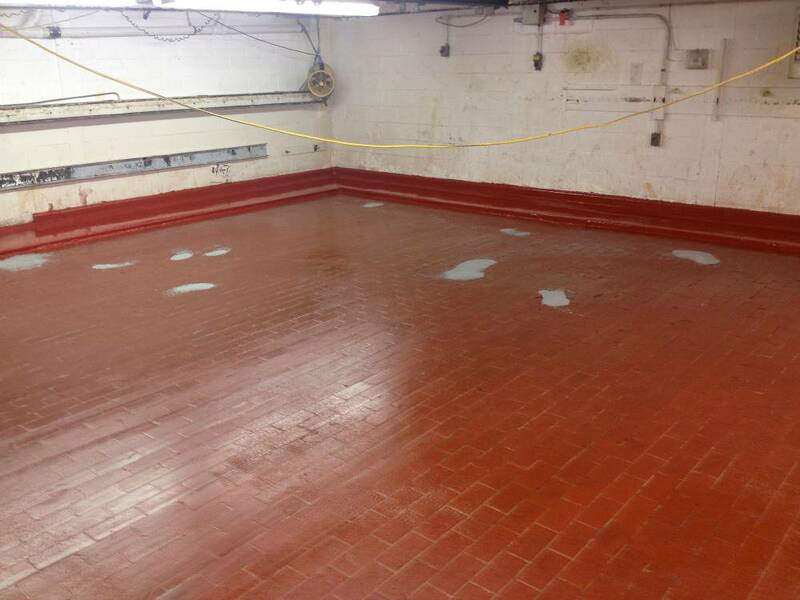 Norristown Facility Proofer Room Existing coating over brick floor in the proofer room had failed allowing bubbling to occur. 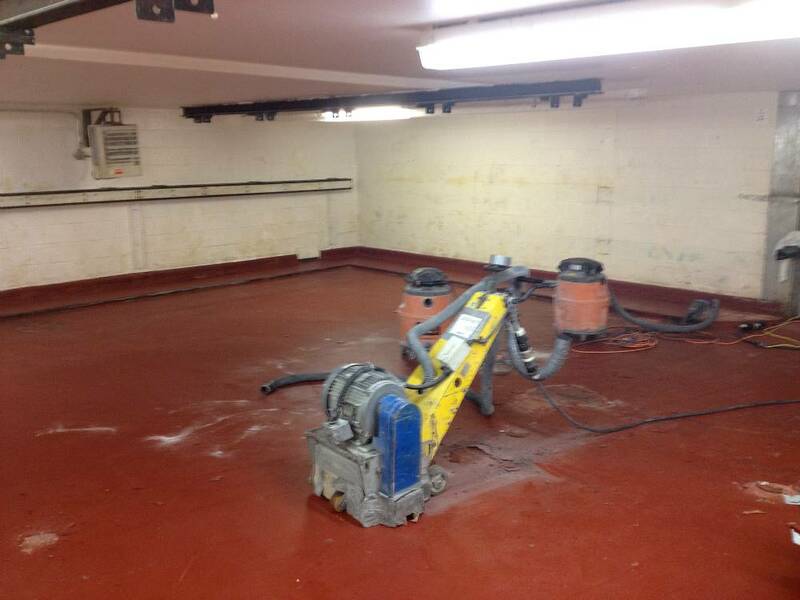 Norristown Facility Proofer Room Proofer room after failed coating was removed, bricks primed and damaged areas patched. 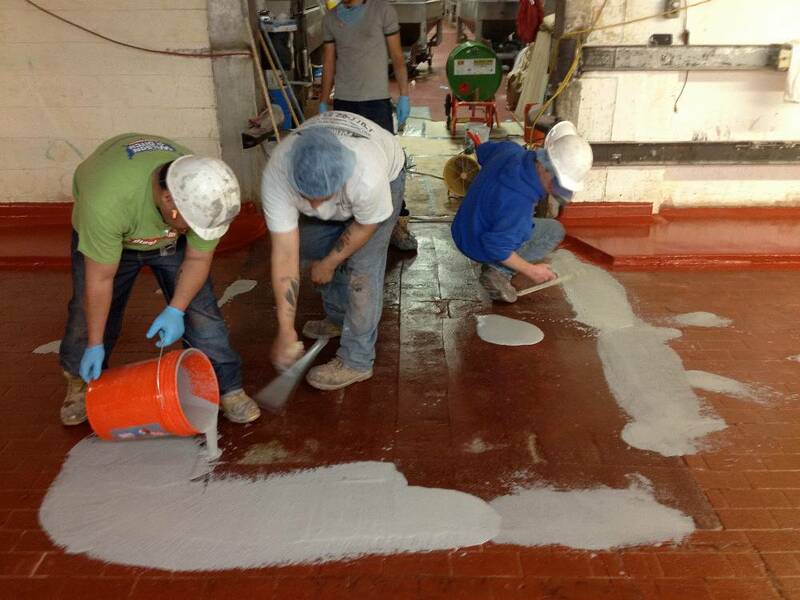 Norristown Facility Proofer Room The transition between two different floor levels is smoothed out. Norristown Facility Proofer Room The rough bricks are smoothly covered for a bump free transition to the adjacent area. 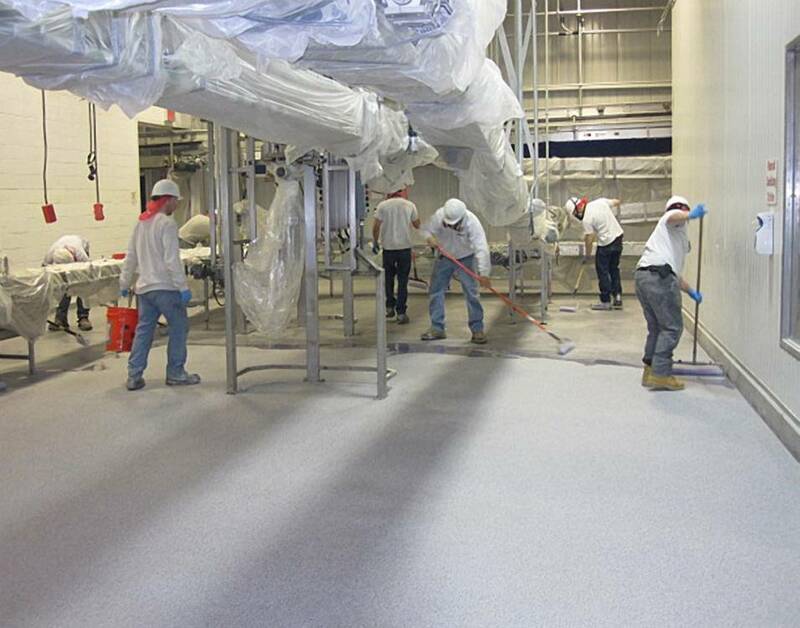 Norristown Facility Proofer Room The new MMA quartz flooring provides slip resistance for a safer work area. 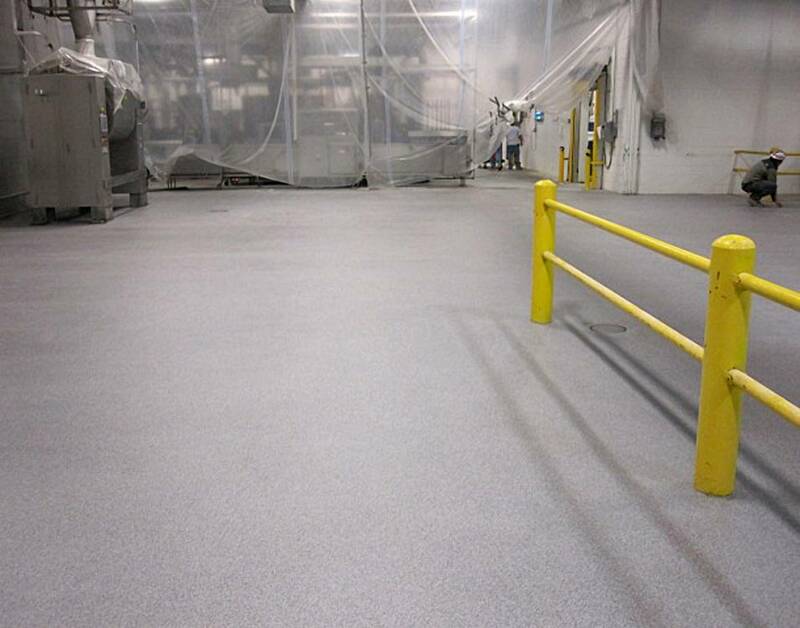 Norristown Facility Proofer Room The MMA quartz flooring also provides a tough surface able to withstand the bakeries high traffic and sugar. 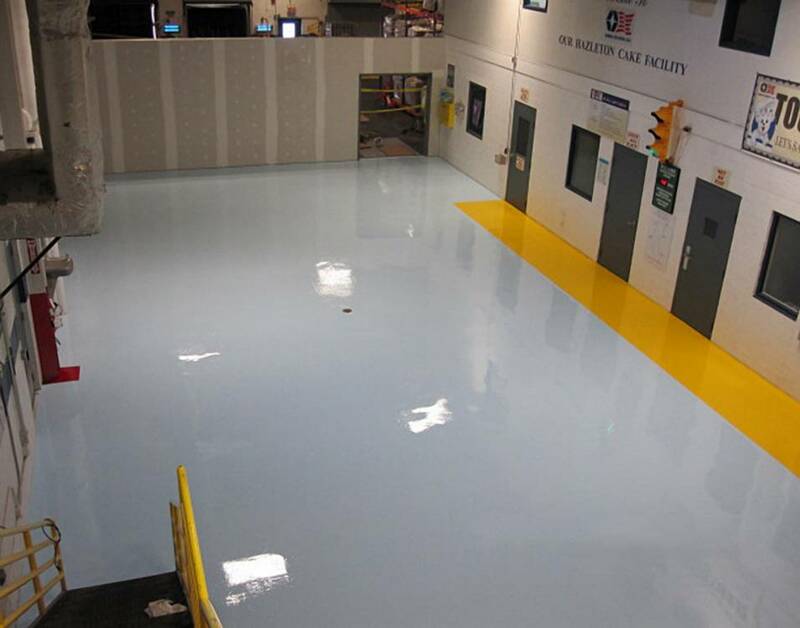 Norristown Facility Proofer Room Work was completed overnight leaving the facility ready for operation the following morning. 8000 sq. ft. 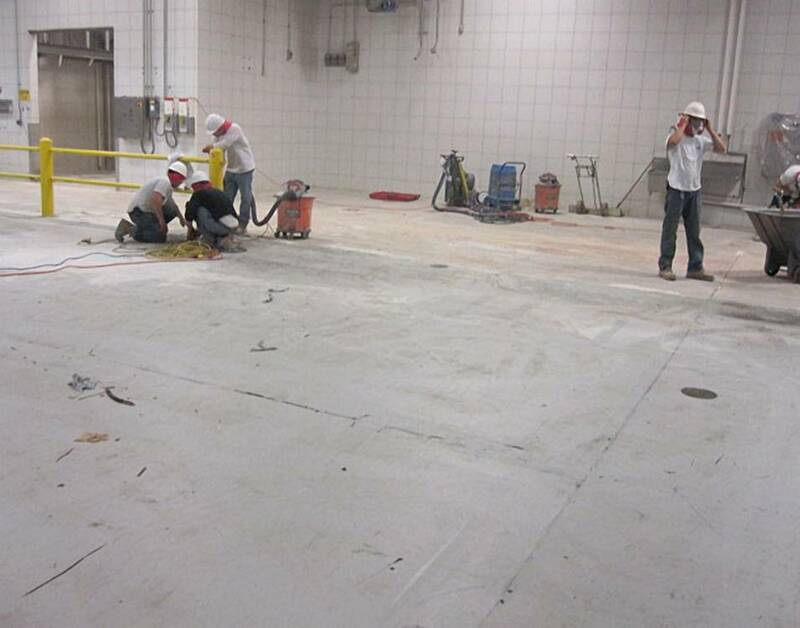 Processing Area Surface prep begins on a deteriorated epoxy floor coating within facilities processing area. 8000 sq. ft. 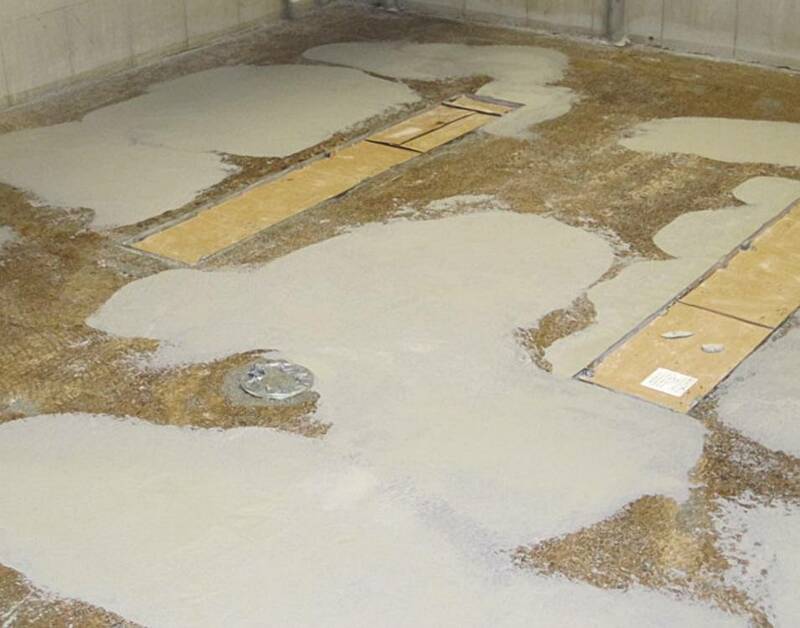 Processing Area Damaged areas around drains are patched and leveled. 8000 sq. ft. 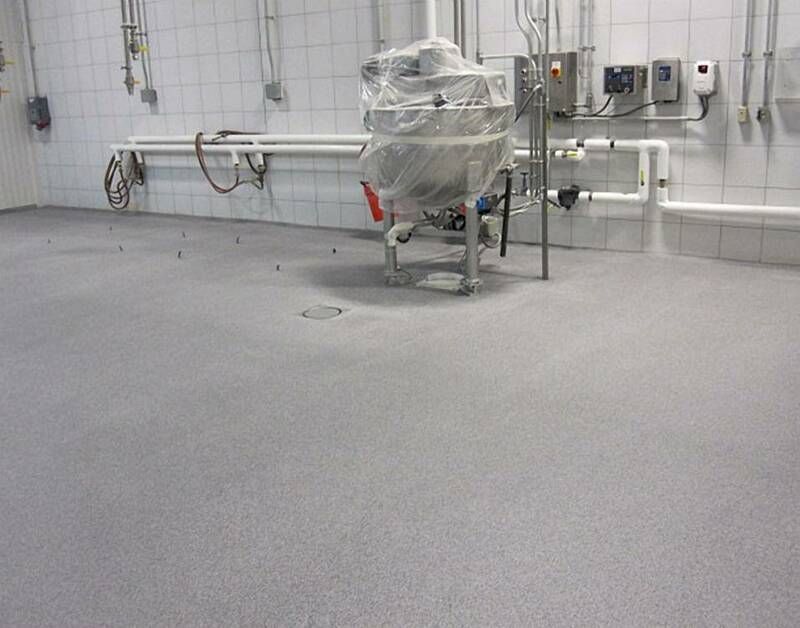 Processing Area Fast curing MMA quartz seamless flooring system is applied. 8000 sq. ft. 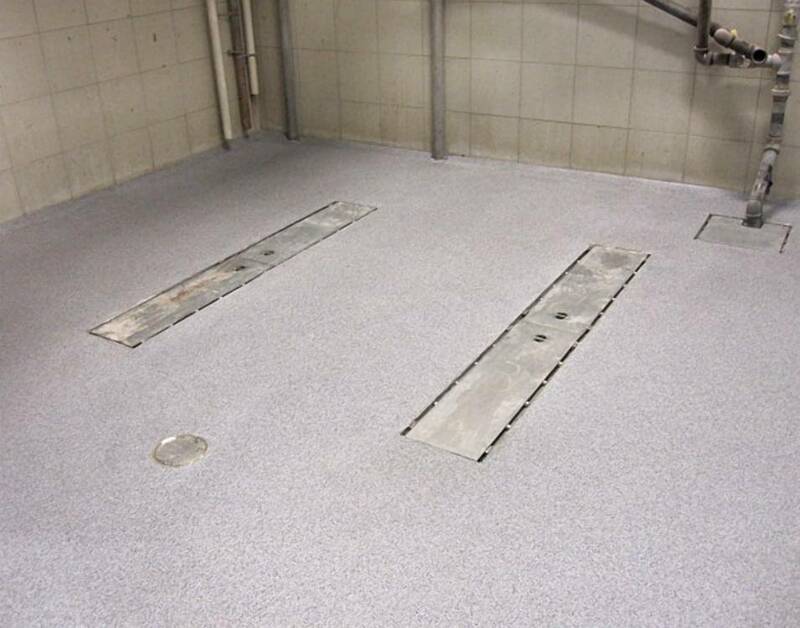 Processing Area No signs of any of the previous damage and the floor profile facilitates drainage. 8000 sq. ft. 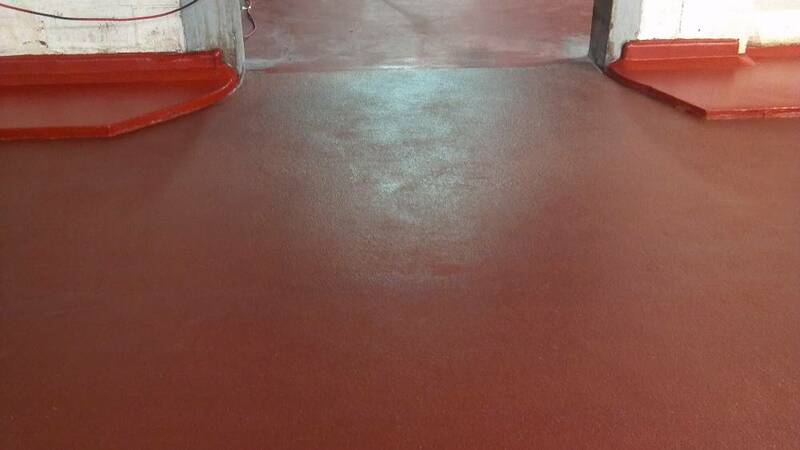 Processing Area The new MMA seamless flooring will stand up to high traffic, impacts and temperature shocks. 8000 sq. ft. 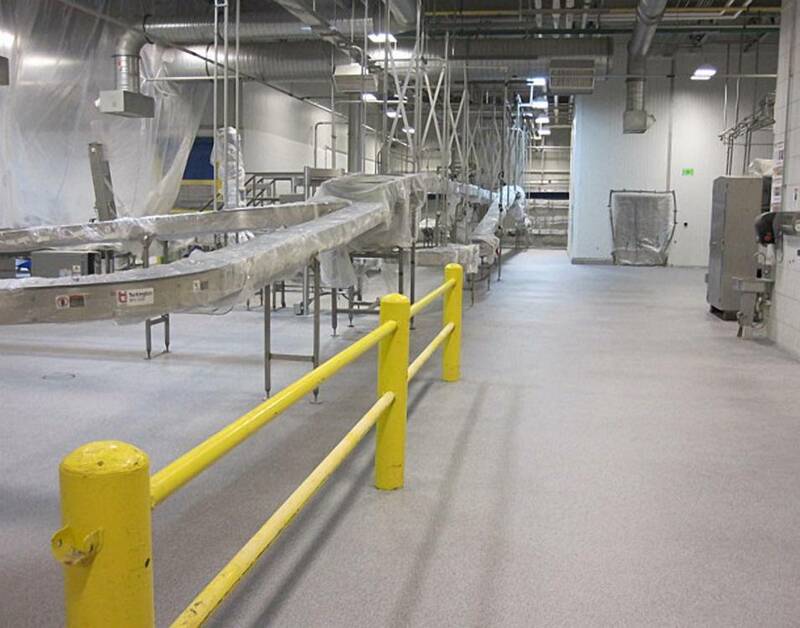 Processing Area The entire 8000 sq. 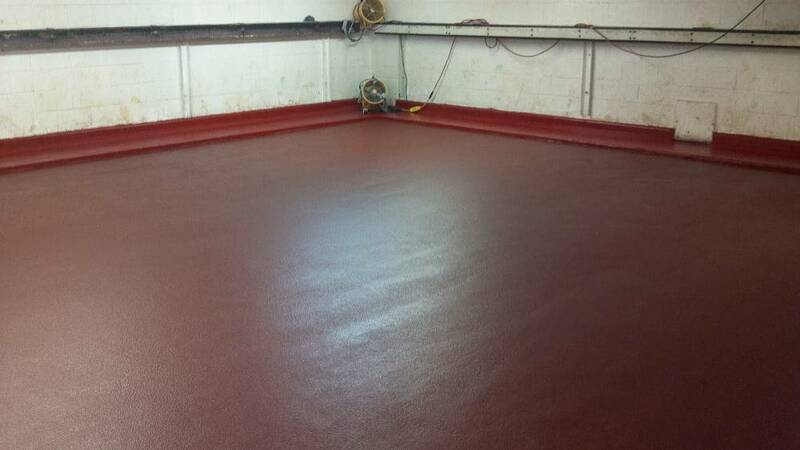 ft. area was completed within 36 hours. 8000 sq. ft. 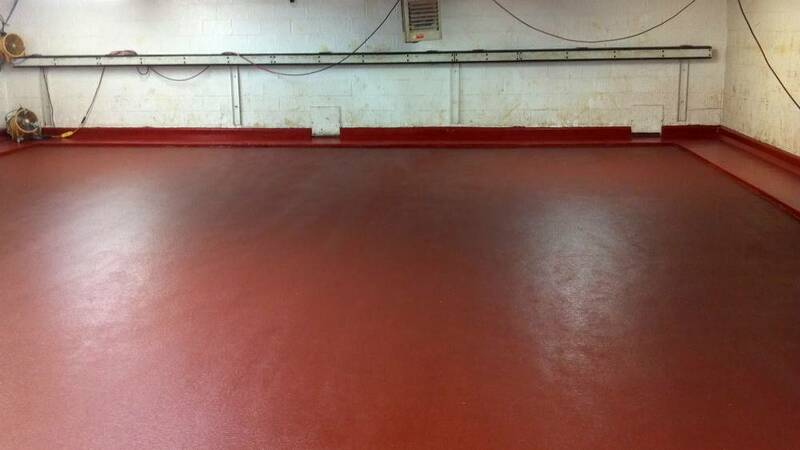 Processing Area A beautiful new floor ready for operation on Monday morning. 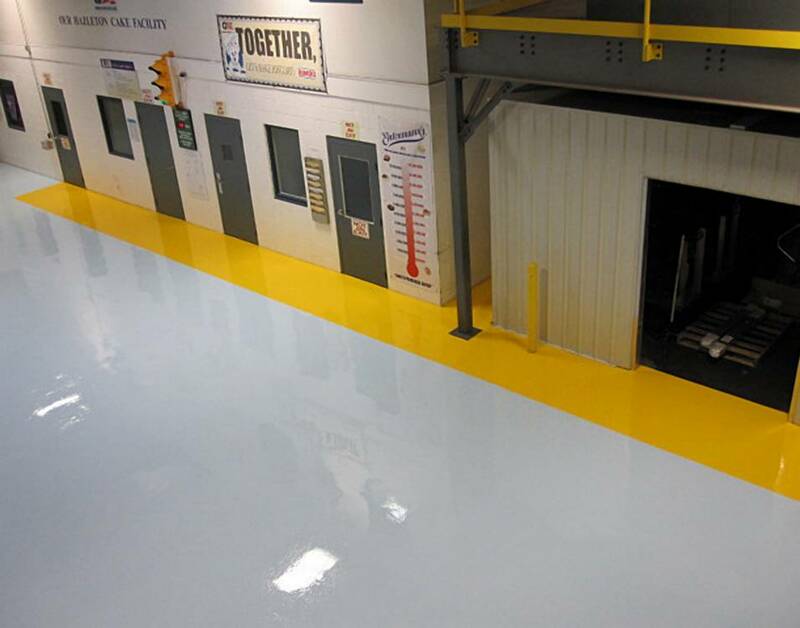 Hazelton Cake Facility New epoxy floor coating system applied in the Bimbo Hazelton facility. 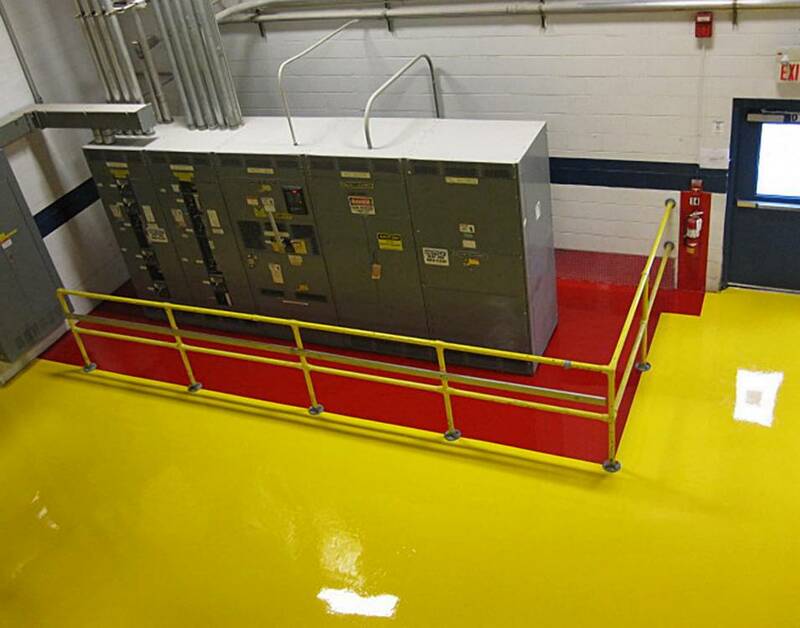 Hazelton Cake Facility Yellow colors were carefully applied to delineate walk areas. 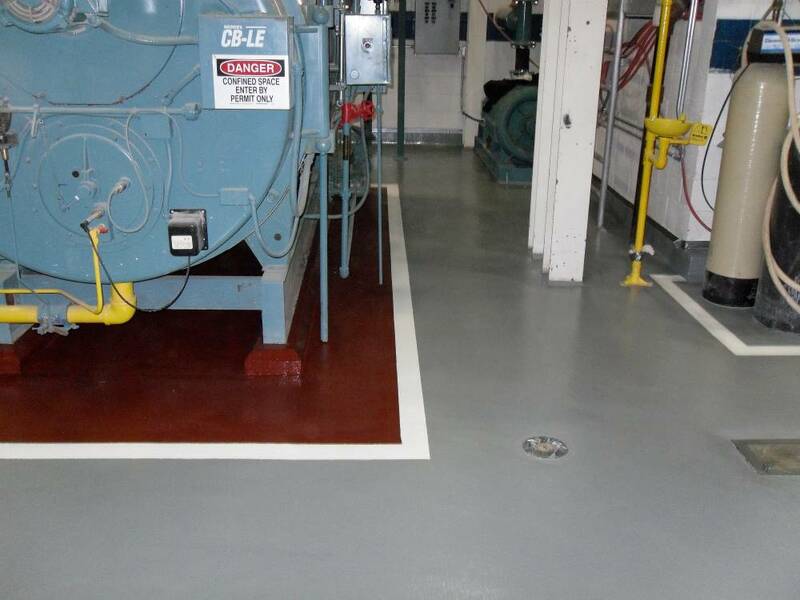 Hazelton Cake Facility Red colors were used to delineate electrical equipment. 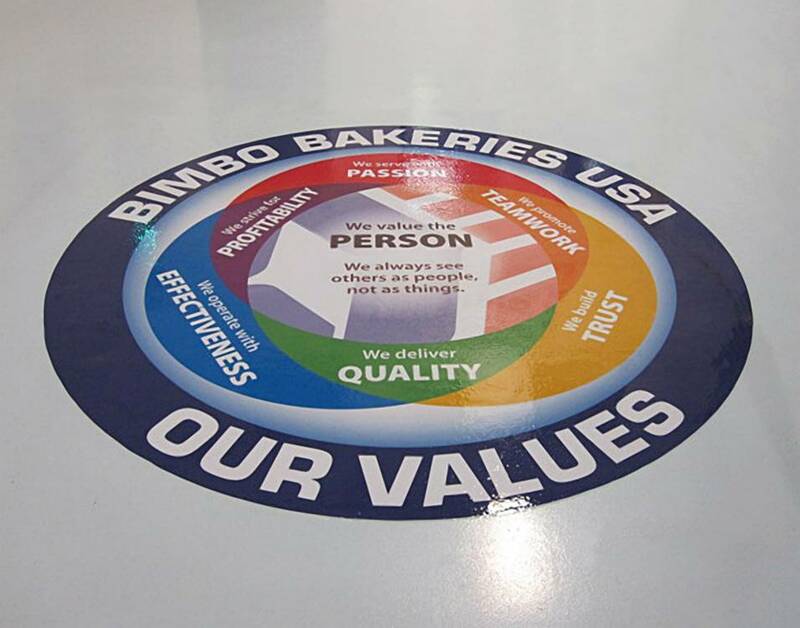 Hazelton Cake Facility Floor graphic installation to highlight company pride. 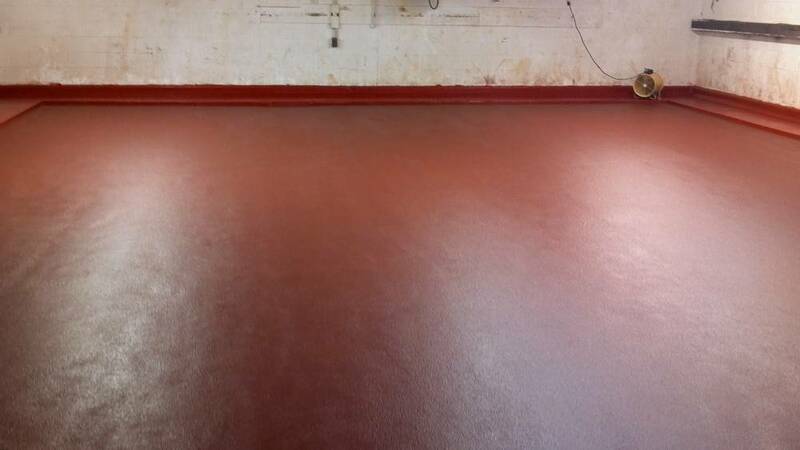 Hazelton Cake Facility New epoxy floor coating protects the boiler room floor. Note the careful drain sloping.